Maren Mjelde and Chelsea Women got past PSG but now face a stellar Lyon side in their quest for Champions League glory. 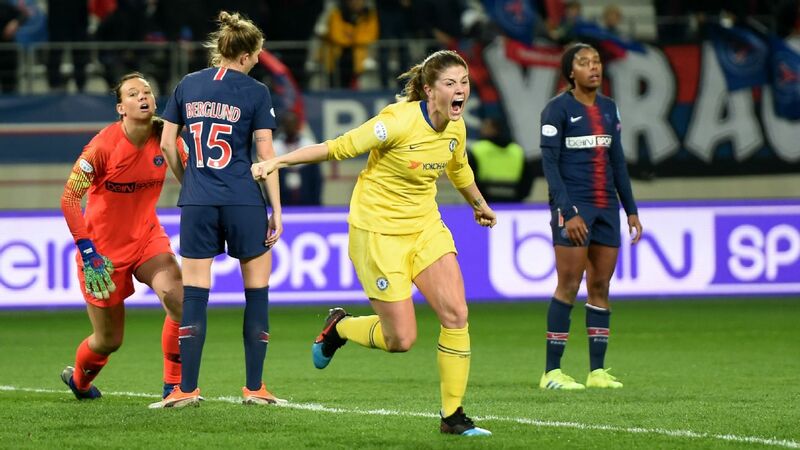 LONDON -- In the mind of Chelsea Women manager Emma Hayes, Sunday's first-leg showdown with Lyon in the Champions League semifinals is a moment seven years in the making. "Not a week, not two weeks, not this season," she says during a 30-minute conversation in her office, which overlooks her team's plush pitches at the rear of Chelsea's sprawling Cobham training complex. "Everybody's aware of the disappointments we've had domestically, but sustained success is incredibly difficult." LONDON -- Juventus Women have bolstered their squad with the signing of Chelsea and England striker Eniola Aluko, the Italian champions announced on Wednesday. The 31-year-old, who has 102 caps for the Lionesses, joins Juve having spent the past six years at English champions Chelsea, following an earlier spell with them between 2007 and 2009. Aluko announced last month she would leave the Blues at the end of the 2017-18 campaign.